Ashburton Grove - Arsenal news and Arsenal opinion: Since when did Pat Rice become a bad assistant manager? 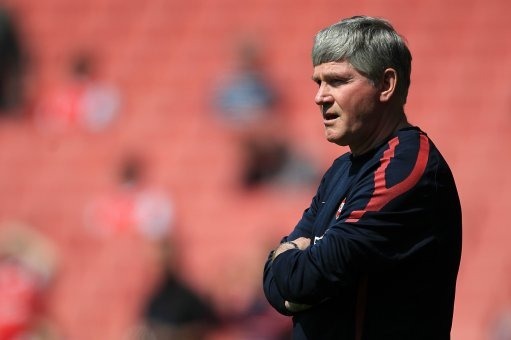 Since when did Pat Rice become a bad assistant manager? Since when has Pat Rice been so bad at his job that he's needed replacing? I ask the question because I read and hear a lot of people say that Arsene Wenger needs a new assistant manager. They say that Wenger needs to be challenged in his decision. That the Frenchman needs to be questioned more. There are a few questions I would like answered as well. How do these people know Pat Rice doesn't have conversations about team selection, training methods and the like already? Why do they think Rice doesn't already do all the things they think he should be doing? Why do they question his professionalism after so many decades of service to his employer as man and boy? Surely Rice deserves more respect than he's given. He's been with Wenger all the time he's been at Arsenal. The pair have won three league titles, four FA Cups and have taken Arsenal to the Champions League final in 2006. Pat Rice hasn't become a bad assistant manager in the six years we've been trophy-less. Perhaps he will retire at the end of the season or maybe he won't. However whatever his decision, I would prefer it from now on that is service, professionalism and dedication is respected more than they have been.